Sometimes it’s good to get a list of things off your chest in one go, and sometimes they’re good to look back on when you need to remember some positive things! 1. Why is it when you’re super busy you find the time to do more things? I feel as though this week, where I’ve had a little down time, I’ve been the most unproductive I’ve been in a long while. I guess now the fight against fleas has finished, and the house is clean and the garden finished, there just isn’t as much to do? I guess that’s why I’ve come back to the blog! 2. I’ve been thoroughly enjoying working out recently, and have a slew of photographs of me dying on the patio in our back yard. I mean dying. Red faced, wobbly arms, sore feet. The skin is peeling on my feet I’ve been using them so much! I feel fantastic for it, but I sure wouldn’t mind a day without my forearms hurting. Burpees are killer. 3. Sam and I have become OBSESSED with the show Shadowhunters. Have you seen it? 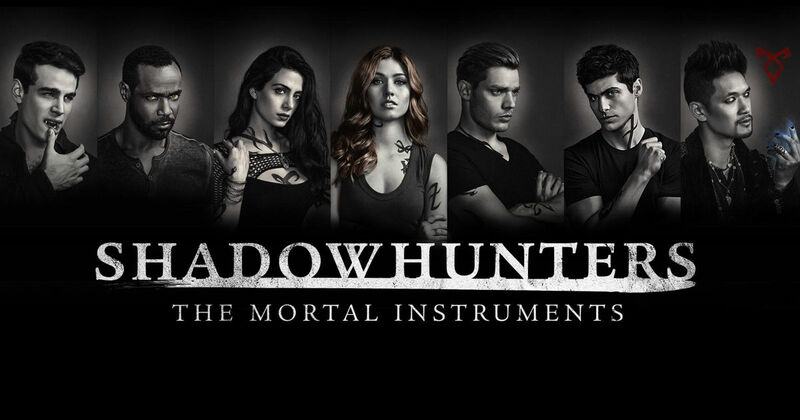 It’s based on a series of books I love called ‘The Mortal Instruments’ by Cassandra Clare. They’re amazing, and I love the Freeform adaptation of the series. The film was good, but critically bombed, and so they decided to make it into a show instead. The first few episodes were PAINFUL because there was so much overacting, but everyone has settled into their roles now and we have devoured the entire first and second season. So sad its finishing, and we can’t wait for season 3! 4. Where do you buy your athletic clothes from?! I am struggling sooo much to find a supportive sports bra and really need some help! I don’t want to spend a fortune, but at the same time need some support up in here! 5. I’m loving this series on Refinery29 UK, which outlines how different women across England spend and save their money! It’s really interesting to see how spending in cities is so different to spending in the countryside. 6. Sweater weather is coming and I couldn’t be more excited! What’s your favourite season? What are you talking about, reading, and loving at the moment? I’d love to know!